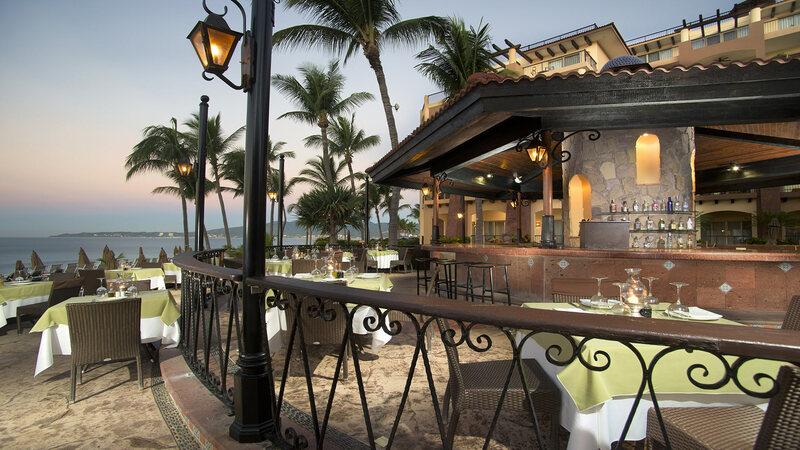 Impressively located overlooking Banderas Bay, restaurant El Patron offers contemporary presentations of traditional Mexican cuisine. This is truly a sensorial experience, where you can appreciate the flavors, sounds, sights and smells of a heavenly culinary experience. 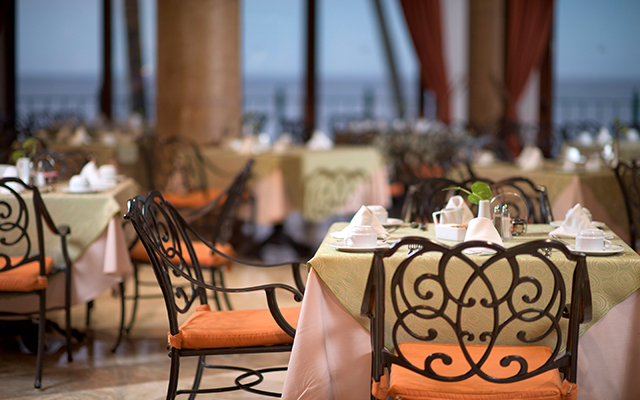 Breakfast is served as a buffet or a'la carte, while lunch and dinner offer exquisite a’la carte options. At El Patron at Villa del Palmar Flamingos Riviera Nayarit, guests can delight in the bold flavors and traditional Mexican cuisine that individuals around the world have come to love. The diversified menu, which includes a myriad of hearty vegetarian, beef, chicken, and seafood dishes, is guaranteed to have guests returning to the Nuevo Vallarta restaurant time and time again. Fresh ingredients, beautifully blended spices, and flavorful sauces take center stage at El Patron, where each exquisite combination dances on your tongue and lingers in your memory. 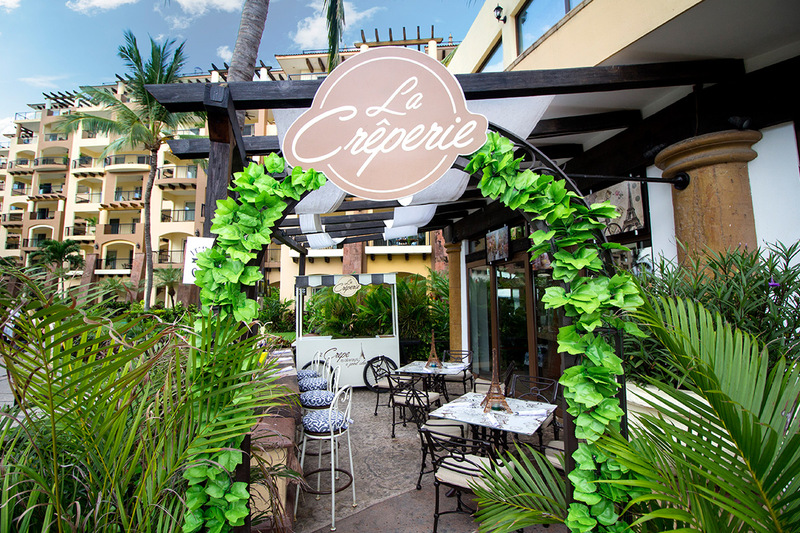 Guest favorites include “Huevos Rancheros” and chilaquiles for breakfast, Zarandeado Fish and Jicama Wrapped Shrimp for lunch, and Slow Braised Pork Chamorro Pibil Style and Marinated Skirt Steak for dinner. 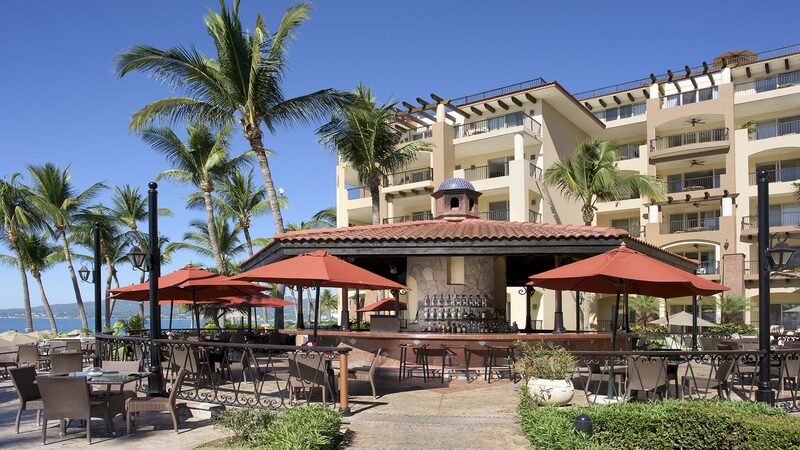 The breakfast, lunch, and dinner menus are extensive, giving guests more to choose from than just the traditional buffet style eateries at most all inclusive resorts. 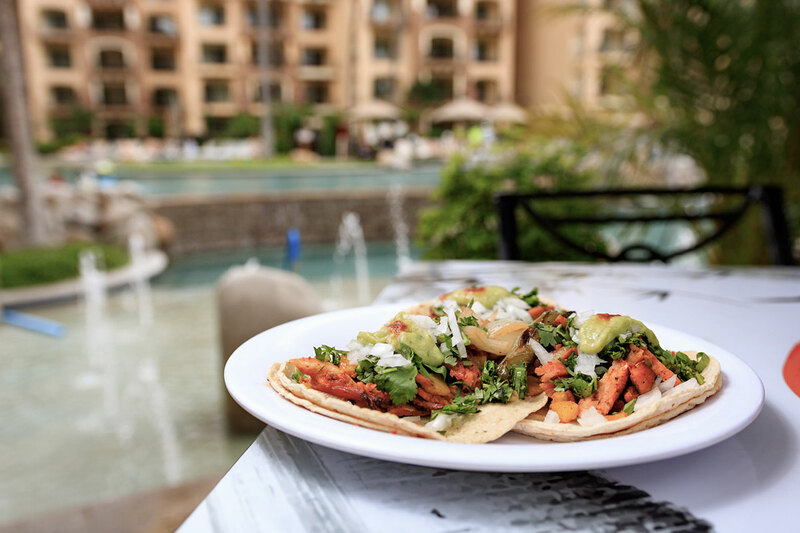 The highly qualified Chefs at our Nuevo Vallarta restaurants have a passion for bringing guests mouthwatering meals packed with bold spices and traditional Mexican flavor. 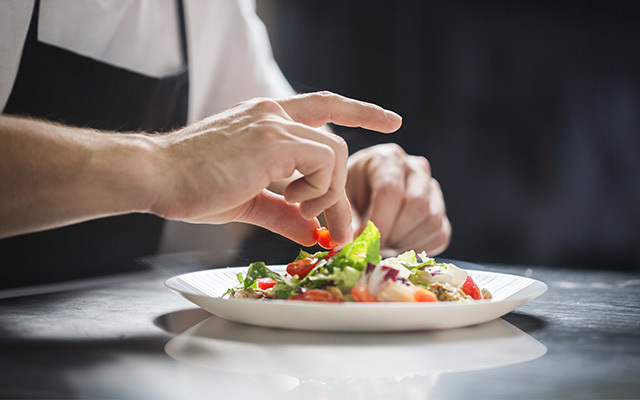 Their dedication to pushing the limits can be felt in each culinary creation, memorable bite, and appetizing presentation. The chefs at El Patron, Villa del Palmar Flamingos’ authentic Mexican restaurant, will tempt your palate by delivering an exquisite dining experience for each of your five senses. You’ll be pressed to find a more exquisite culinary experience than that of El Patron at Villa del Palmar Flamingos Riviera Nayarit. 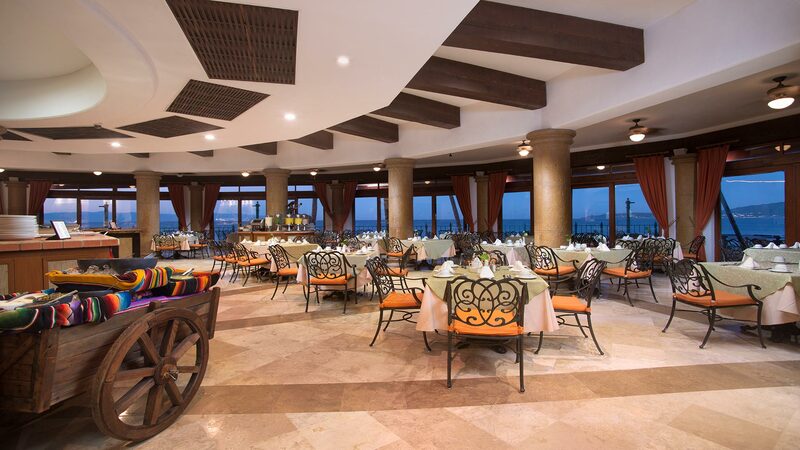 The authentic Mexican restaurant delivers a treat for the senses with inspiring views of Banderas Bay, heavenly aromas that permeate the air, the delicate sounds of guests making memories, and of course, a delicious array of culinary creations that tantalize your taste buds. The serene ambiance holds a mixture of romance and excitement that makes it the idyllic setting for a night out with a loved one, a family dinner, or even just a rich evening alone. Fresh orange juice, seasonal fruit, toast or sweet rolls, coffee, milk or tea. Orange juice or fruit smoothie, fruit salad, eggs and ground dried beef with flour tortillas, sweet rolls, coffee, milk or tea. Carrot and/or beetroot juice, fruit salad, egg white omelette with smoked salmon and grilled vegetables. Fried eggs stacked on crispy tortillas, topped with red sauce, peas, ham and Cotija cheese, served with fried plantains. English muffins, poached eggs and ham topped with Hollandaise sauce and served with hashbrowns. garlic and onion savory bread, a mexican tradition, with refried beans, lettuce, guacamole tomato, mozzarella cheese and grilled flank steak. Served with French fries. Accompanied with guacamole, bacon, onion, and tomato. Fresh fish Prepared to your favorite style, garlic, Yucatan arriero style, or pan fried in butter. Served with rice and vegetables with aromatic herbs from our garden. Mixed lettuce, grilled chicken breast, Breaded Gouda cheese fingers, palm hearts, asparagus, served with honey Mustard dressing and guajillo Chile. Stuffed with spinach, served with Huitlacoche and wild mushroom risotto saute?ed with bacon, Topped with Alfredo Sauce.